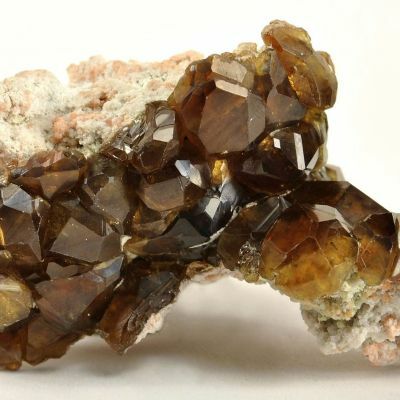 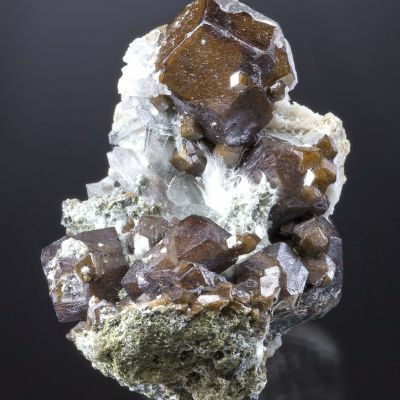 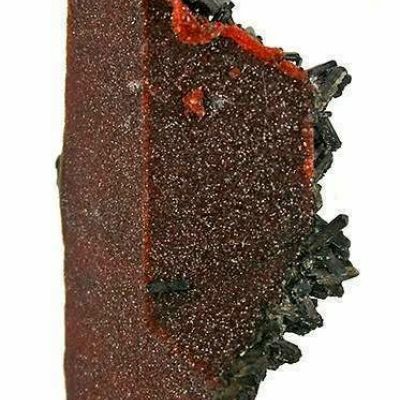 A remarkable, complex and elongated garnet crystal measuring just under an inch, that looks like a small handgun when laid on its side. 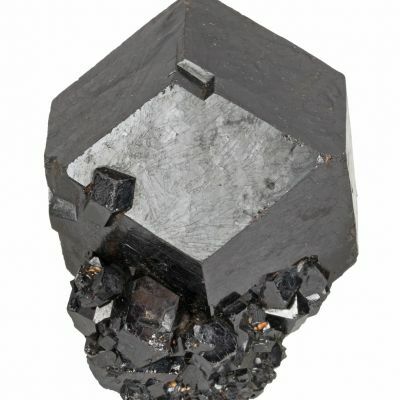 It is complete all around, front and sides, except only the bottom edge as stood here. 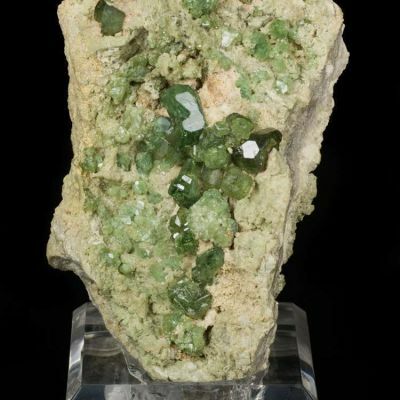 I was able to obtain access to a small private collection of a longtime French-Canadian field collector, which was quietly dispersed at Tucson of 2014. 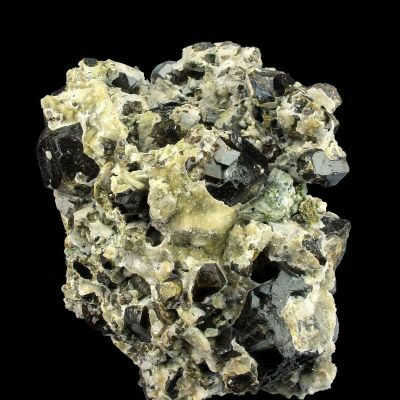 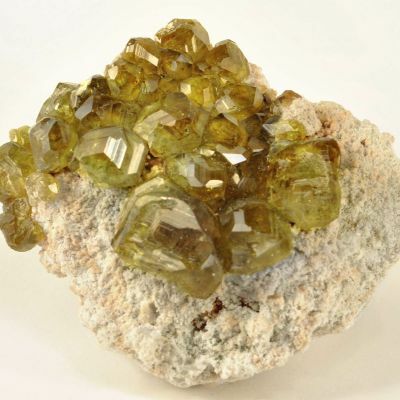 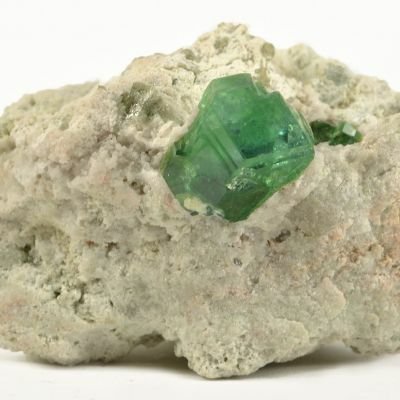 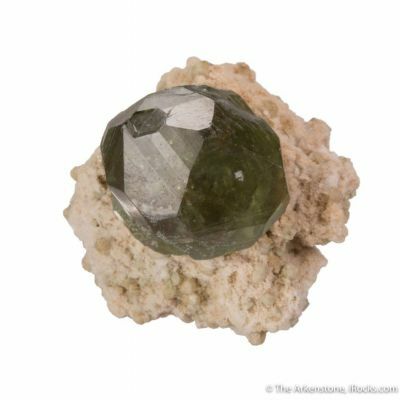 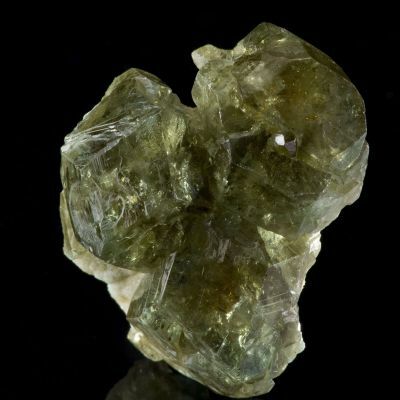 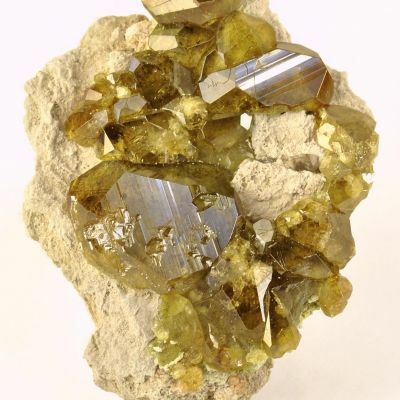 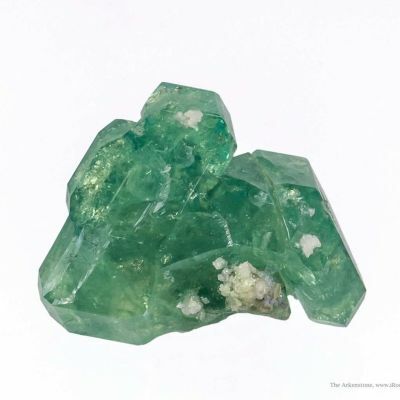 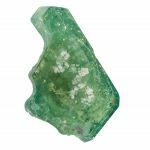 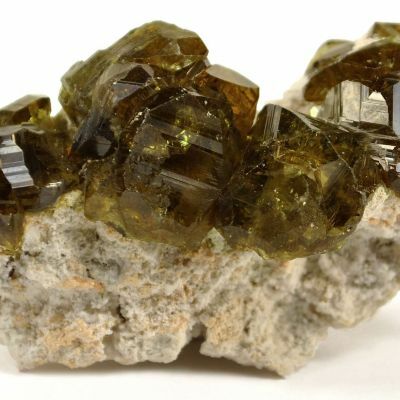 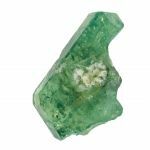 In that collection were two superb gem green andradite garnets from the famous Black Lake district, of which this is one. 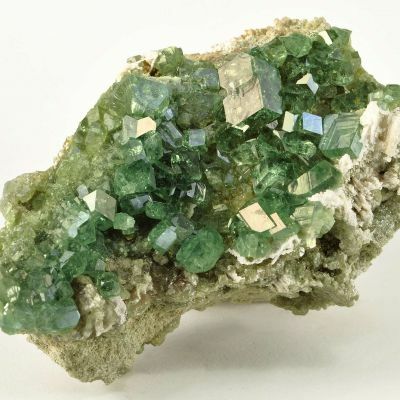 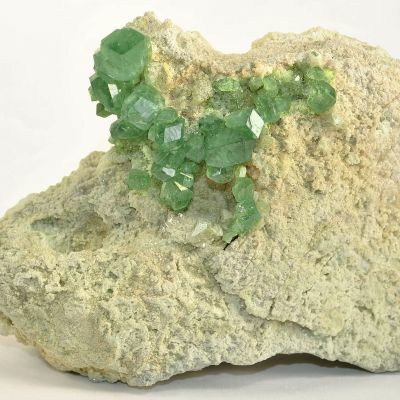 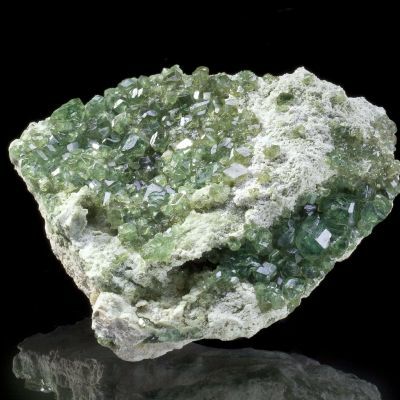 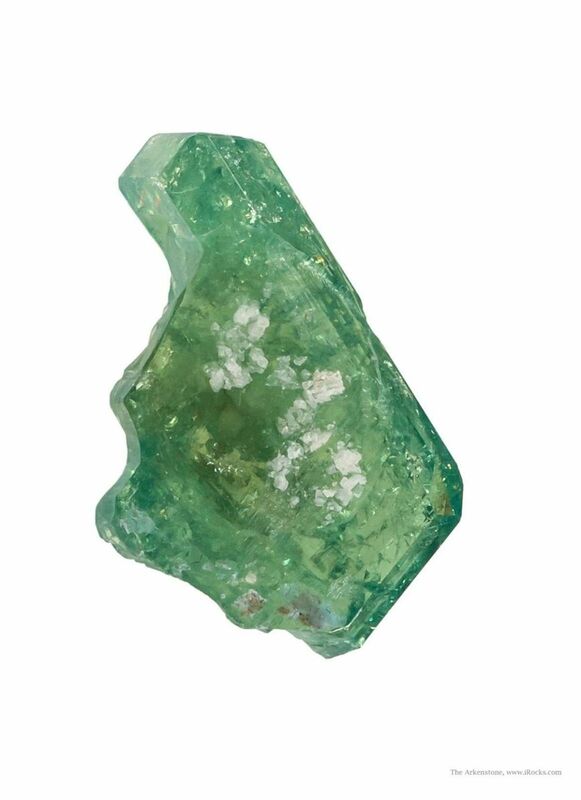 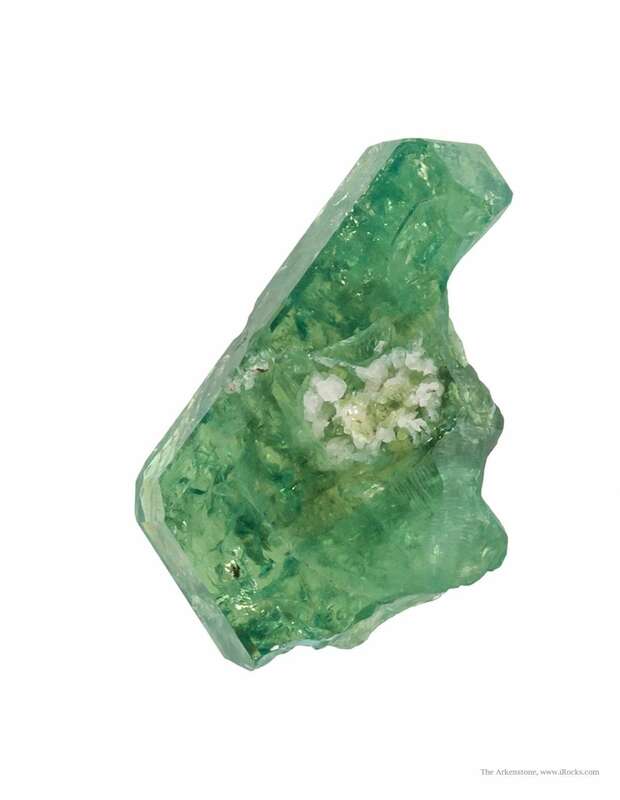 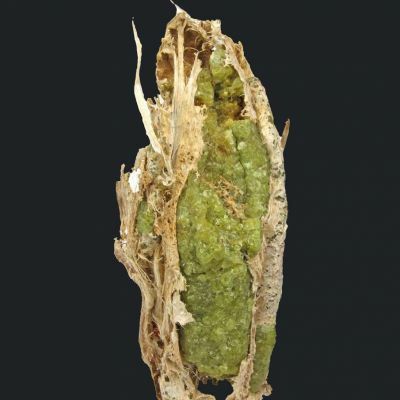 Small prehnite or perhaps adularia crystals dot the surface. 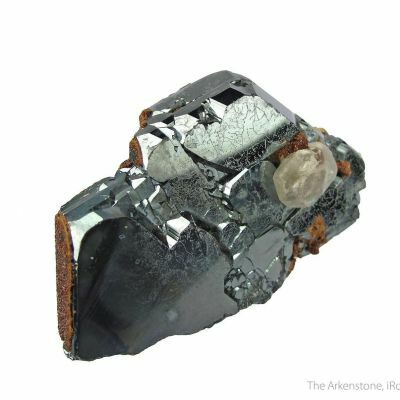 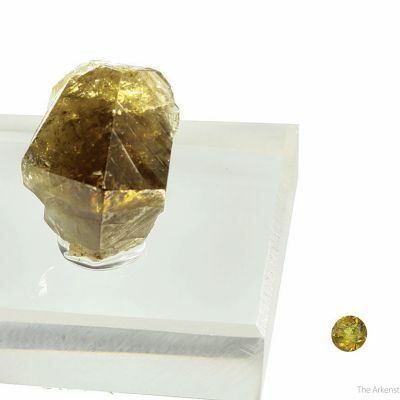 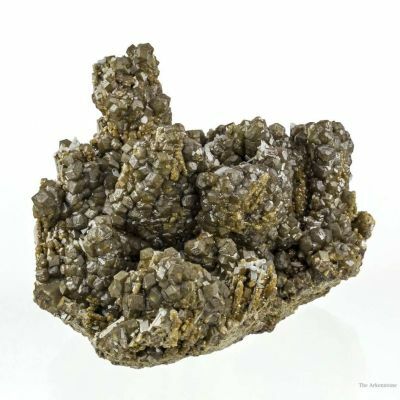 The crystal is unusual in that it is "flattish," constrained in its development on one axis only.